The Da Vinci Code EXPOSED! "HOW MUCH OF THIS NOVEL IS TRUE? Did you read that? Dan Brown calls his own work--FICTION! Yet, ironically, the New York Daily News said concerning Dan Brown--"His research is impeccable." The director of The Da Vinci Code movie itself--Ron Howard, clearly stated that the film was "a work of fiction that presents a set of characters that are affected by these conspiracy theories and ideas". -SOURCE. Ron Howard admits that the Da Vinci code movie is fiction, only entertainment; yet, hypocritically, the movie's tagline is "Seek the Truth." Why is Ron Howard portraying religious lies as truth? Many people are believing the lies of The Da Vinci Code, and turning further away from Jesus Christ. The Da Vinci Code is the perfect Satanic smokescreen. Dan Browne and Ron Howard have produced a book/movie which blasphemes Jesus Christ--attacking His deity, His sinlessness, and Christianity itself; while at the same time claiming that it's all just fun entertainment (fiction). So when Christians get upset and take a rightful stand against such blasphemy, they are told that it's just entertainment; BUT, the Da Vinci code will be used to shake the faith of young people in every heathen university across America. Dan Brown attacks Christ's deity, discredits the Word of God, claims an immoral relationship between Jesus and Mary Magdalene, and alleges Christianity to be a big hoax. 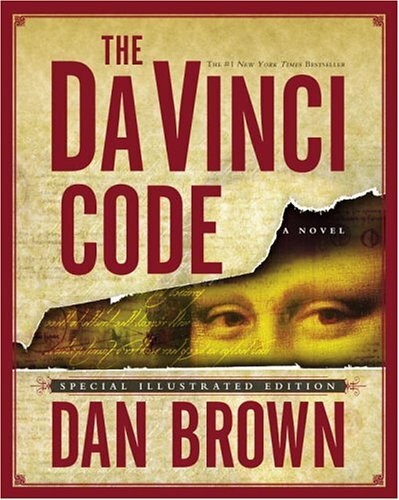 In May of 2006, Ron Howard released The Da Vinci Code, based upon Mr. Brown's works of darkness. The very fact that these evil men produced works about Jesus Christ (a literal Person), whether it was fiction or non-fiction, made this a spiritual matter. Multitudes of naive victims have been beguiled by the damnable Da Vinci Code. Ron Howard claims that he's just making entertainment, not theology. However, such demonic works, which are alleged to be based upon credible research, give ammunition to the enemies of the Lord Jesus Christ, to blind the minds of the simple. This is Satan's purpose, to blind people from the Truth of God's Word (2nd Corinthians 4:4). Lest you should think The Da Vinci Code is taken by the public as mere fiction, consider once again what the New York Daily News said concerning Dan Brown ... "His research is impeccable." Such statements imply that The Da Vinci Code is legitimate research; yet, both Dan Brown and Ron Howard have stated that their works are FICTION. A simple web search will reveal that many people are taking The Da Vinci Code very serious, and are abandoning any thought of ever turning to Jesus Christ for salvation. Dan Brown and Ron Howard are modernists, imposters, who come to us in the name of innocent fun and entertainment; BUT, they are vicious wolves who come to us in sheep's clothing. There won't be any "Happy Days" where Ron Howard is going when he dies. I say this with great sadness, for God is not willing for any to perish without Christ (2nd Peter 3:9). Dan Brown is contradictory. How can Brown claim to write fiction, while attacking the very Truth of God's Word. This is a great deception! Anytime someone discredits the Word of God, and blasphemes the Lord Jesus Christ ... in the name of entertainment and fiction ... they are committing an abomination unto God! Dan Browne is trampling upon spiritual matters, as if God's Truth means nothing. How dare Ron Howard manipulate the truth, discredit the Word of God, and maliciously attack the Lord Jesus Christ in the name of entertainment. Dan Browne openly said in the quote above, "it is my belief that some of the theories discussed by these characters may have merit..." Belief? Theories? May? Evidently the research must have been inconclusive to use some uncertain terms! Many people are acting like the Da Vinci Code is grounded in facts and solid evidence--nothing could be further from the truth. The Da Vinci Code is nothing more than mere speculation. In contrast, the Word of God gives us dates, times, places, names, decrees, and a wealth of indisputable FACTS. The Da Vinci Code is nothing more than theories, just like evolution. Anybody can claim anything. I challenge you to search out the truths of God's Word. The Da Vinci Code is blasphemous fiction, as far as the novel and movie go; BUT, tragically, the demonic spiritual message being sent out is VERY REAL. There is nothing fictitious about attacking God! The assault is very real. The Satanic inspiration of The Da Vinci Code will no doubt lead countless multitudes of sinners to condemn themselves to Hell for all eternity, by rejecting Jesus Christ as Savior. John 3:36 states, "He that believeth on the Son hath everlasting life: and he that believeth not the Son shall not see life; but the wrath of God abideth on him." If you do not believe upon Jesus Christ, the Messiah, for the forgiveness of your sins--then you will have to pay for your own sins in the Lake of Fire forever. Do you think God has a sense of humor towards those who attack His Word, His only begotten Son, and hinder people from finding the Truth that leads men to life eternal? No, God hates such evils. Ron Howard uses the tag line ... "Seek the Truth" in his movie; BUT, he attacks and hides the very Truth that he prompts the audience to seek. What a Satanic deception. Dan Brown and Ron Howard may appear to be innocent, claiming their evil works are just for entertainment; BUT, they are guilty of diminishing the Word of God. Revelation 22:19 WARNS, "And if any man shall take away from the words of the book of this prophecy, God shall take away his part out of the book of life, and out of the holy city, and from the things which are written in this book." Dan Brown and Ron Howard are both unsaved heretics, who know not the God of the Bible. They are wolves, who come to us in sheep's clothing. They are unsaved modernists. I have included some additional articles below which I felt where well written. Did Christianity 'borrow' from other religions? Editor's note: This column is the third in a five-part series examining the claims of "The Da Vinci Code," which hits theaters Friday, May 19. ALPHARETTA, Ga. (BP)--I recall reading in 1988 of an ancient religion older than Christianity in which a pagan deity was said to have been crucified between two thieves, wore a crown of thorns while on the cross, was regarded by his followers to be the good shepherd and savior of the world, and then rose from the dead three days later. The story shocked me. The details were too similar to have been a coincidence. Had Christianity copied from another religion? In "The Da Vinci Code," author Dan Brown claims that Christianity borrowed extensively from pagan religions. Nothing in Christianity is original, he says. The pre-Christian god Mithras -- called the son of god and the light of the world -- was born on Dec. 25, died, was buried in a rock tomb, and then resurrected in three days, Brown tells us. Can we find any truth in what Brown claims? Did Christianity borrow from other religions? Let’s take a look. In 1988 I discovered after further review that there are indeed claims of dying and rising gods in other religions -- some of which are very similar to the Christian records. What is of great interest is that every single one of those accounts postdate Jesus by more than 100 years! While in a number of instances the religion in which the dying and rising god appears predates Jesus, the account itself, where we find the dying and rising god, postdates Jesus. It appears that it was these other religions that were influenced by Christianity rather than the other way around. A prime example is Brown’s mention of Mithras. The religion of Mithras predates Christianity. But we do not have an early report of Mithras with all of the details mentioned by Brown. I am unaware of any account, even a late one, of a Mithras who dies, is buried in a rock tomb, then resurrected in three days. T.N.D. Mettinger is a senior Swedish scholar who has written what is perhaps the most recent academic treatment of dying and rising gods in antiquity. He states that the scholarly consensus is that none of these pre-date Christianity and that the few who think differently are viewed as an “almost extinct species.” Although Mettinger himself admits to going against the consensus, believing there are as many as five pre-Christian accounts of dying and rising gods, he admits that two of the five are uncertain. Of the remaining three, one is said to live again but is never seen by anyone including the gods, while another appears in a report that is unclear. According to Mettinger, only one clear account of a dying and rising god predates Christianity. However, he adds that this account is so different from the Christian account that no parallel can be said to exist. In summary, the consensus of today’s scholars agree that there are no pre-Christian accounts of dying and rising gods, and the most recent treatment of the subject is from a scholar who disagrees but adds that none are parallels to the resurrection of Jesus. What about the day for Christian worship -- Sunday? Was the change from the Jewish Sabbath of Saturday to the Christian day of worship on Sunday the result of Constantine? This is quite impossible. Constantine lived in the fourth century and Christian worship on Sunday started long before then. For example, around A.D. 55 the Apostle Paul mentioned meeting on the “first day of the week” (1 Corinthians 16:2). Luke mentions a similar practice (Acts 20:7). These were written more than 200 years prior to Constantine’s birth! Brown’s historical inaccuracy is stunning. So apparent is this to scholars that even the atheist New Testament scholar Bart Ehrman concludes, "[Brown’s] a novelist, not a scholar of history.... Even though he claims that his 'descriptions of ... documents ... are accurate,' in fact they are not." Some of Brown’s claims are easier than others for the layperson to answer. Although this is one of the more difficult to answer without further study, the above has been provided for you. And remember that your friends making the claim shoulder the responsibility of supporting it. Accordingly, anyone claiming that Christianity borrowed its major doctrines from pagan religions of its day shoulders the responsibility of supporting it, not just with a claim to the effect as Brown has done, but also by supplying references to the pre-Christian ancient writings which would lead to such a conclusion. Demand these references from your friend and take heart. They do not exist. Licona is director of apologetics and interfaith evangelism at the North American Mission Board. Editor's note: This column is the first in a five-part series examining the claims of "The Da Vinci Code," which hits theaters Friday, May 19. ALPHARETTA, Ga. (BP)--In Dan Brown’s book "The Da Vinci Code," Jesus is said to have been married to Mary Magdalene. Is it possible to know Jesus’ marital status? The historian will need to consider any evidence suggesting Jesus was married as well as evidence that he was single. Brown provides two strands of evidence. He first cites the gospel of Phillip and describes a Jesus who loves Mary more than all the disciples and kisses her often on the mouth. He adds that the gospel of Phillip refers to Mary as “the companion of the Savior” and that every Aramaic scholar agrees that the word "companion" means "spouse." But there are a number of problems with this claim. First, the gospel of Phillip is a Gnostic gospel that is dated to the late second century at the earliest. That is about a hundred years after the last of the New Testament Gospels had been written. Moreover, the lone existing manuscript of the gospel of Phillip is dated to the fourth century and, due to a number of holes in it, words are missing. In order to get a text that supports his thesis, Brown reconstructed the text, adding words which actually are absent from the manuscript. A second problem concerns the word "companion." The gospel of Phillip was written in Coptic, not Aramaic. And the Coptics had borrowed the Greek word employed here for companion (koinonos), which usually meant “friend, colleague” rather than "spouse." The other strand of evidence Brown provides is Leonardo da Vinci’s rendition of "The Last Supper," in which the person standing next to Jesus, usually thought to be the disciple John, instead is said to be Mary Magdalene. Leonardo supposedly is clueing his viewers to the marital relationship between Jesus and Mary. Numerous problems plague using this as evidence for a married Jesus. It is widely recognized that the disciple John was often portrayed during the Renaissance period with feminine characteristics, due to his youth. Moreover, if the character standing next to Jesus is indeed Mary Magdalene, then we are left with one of the 12 disciples missing. Furthermore, even if Leonardo believed Jesus had been married to Mary Magdalene, how much weight should a sober historian award to the unsupported belief of a Renaissance artist who lived more than 1,500 years after Jesus? It certainly should not be preferred over historical reports written within a generation or two of Jesus. Moreover, according to John's Gospel, while on the cross Jesus entrusted the care of his mother to his beloved disciple. John also reports that Mary Magdalene was there, too. However, no further plans were made for her care. This would be very odd if she was Jesus’ wife. NASHVILLE, Tenn. (BP)--"The Da Vinci Code" sounded a battle cry, and evangelicals have responded by taking up their pens to combat a challenge to some of the most central doctrines of the Christian faith. "The Da Vinci Code," a movie from Sony Pictures set to debut in theaters May 19, is based on a bestselling novel by Dan Brown and attacks such key doctrines as the deity of Christ, the reliability of the gospels and the bodily resurrection of Jesus. The movie also claims that Jesus was married to Mary Magdalene and had a child whose descendents are still alive. Erwin Lutzer, senior pastor of The Moody Church in Chicago; Darrell Bock, research professor of New Testament studies at Dallas Theological Seminary in Dallas, Texas; and R. Albert Mohler Jr., president of Southern Baptist Theological Seminary in Louisville, Ky., are among the many evangelicals who have refuted the movie's claims. "[T]his is not merely any piece of fiction. The scope of what it claims as fact, the impression it leaves making those claims under the 'cover' of fiction, and the fact that it addresses a significant subject for our culture's own self understanding make it important that its claims be assessed and/or appreciated," Bock writes in his book "Breaking the Da Vinci Code." He continues, "[T]he issues of faith and relationship to God are too important to be left to the confusing category of 'historical' fiction where the claim is that despite being a novel the history is fact." Brown's novel opens with the curator of the Louvre Museum found murdered. Paris police call Harvard professor Robert Langdon and cryptologist Sophie Neveu to interpret a strange symbol left on the victim's body. As they investigate, Langdon and Neveu realize that the crime is linked to the legendary search for the Holy Grail. When Neveu warns Langdon that he is the prime suspect in the murder investigation, the pair flees from police as they simultaneously attempt to crack the case. Langdon and Neveu meet Holy Grail fanatic Sir Leigh Teabing, who tells them about an understanding of Jesus different from the New Testament's account. He says that the Holy Grail -- rather than being a cup, as traditionally thought -- is actually the remains of Jesus' wife who bore His child. Despite what everyone has been taught, Teabing says, Jesus was married to Mary Magdalene and had a daughter. After Jesus' crucifixion, Mary and her daughter went to France where they established the Merovingian line of French royalty. This dynasty, according to "The Da Vinci Code," continues today in a mysterious organization known as the Priory of Sion. Members of the Priory of Sion supposedly included Leonardo da Vinci, Isaac Newton and Victor Hugo. Teabing and Langdon tell Neveu that the records of the true story of Jesus are guarded and shrouded in mystery. The real story about Mary and Jesus, they say, has been preserved in hidden codes and symbols in order to avoid the wrath of the Catholic Church. Leonardo da Vinci knew the real story about Jesus, we are told, and used his painting "The Last Supper" to give hidden clues. As the main characters continue their investigation, they learn that a powerful Catholic organization called Opus Dei is prepared to use any means necessary to keep the true story of Jesus from coming out. If the secrets are revealed, we are told, Christianity, as we know it, will be exposed as a fraud built on centuries of lies. The movie advocates a false picture of Christianity, but believers can refute the errors by noting the biblical picture of Jesus and the true history of the faith, according to Lutzer, Bock and Mohler. -- Error: The Council of Nicea invented the deity of Christ in A.D. 325. "The Da Vinci Code" argues that for the first 300 years after Christ, Jesus' followers viewed Him as a mere human. Then the Council of Nicea invented the deity of Christ for political purposes. Mohler says the Council of Nicea did not invent the deity of Christ but proclaimed what the Bible taught and what the church had believed for 300 years. "The Council of Nicea did not 'invent' the divinity of Jesus," Mohler writes in an Internet commentary. "This was already the declaration of the Church, claimed by Jesus himself and proclaimed by the apostles." The Roman Emperor Constantine called the Council of Nicea so that the bishops of his empire could settle disputes about Christ's nature. The disputes centered on a man named Arius who gained a wide following by teaching that Jesus was a created being and not fully God. Orthodox Christians opposed Arius. After discussion, the bishops at Nicea issued a creed affirming Scripture and declaring Jesus to be of the same nature as the Father and Arius a heretic. Only two bishops out of more than 300 present did not sign the creed. In response to the question of whether Nicea invented the deity of Christ, Lutzer writes, "There is not a single shred of historical evidence for such a notion. Not only was Christ's deity the consensus of the delegates, but as can easily be shown, this doctrine was held by the church centuries before the council met." -- Error: Other gospels were banned from the Bible by people who wanted to make the church a patriarchal community. In what Bock calls perhaps "the most misleading statement of 'fact' in the entire novel," Brown claims there were more than 80 gospels considered for the New Testament but that only four were chosen. The "banned" books were suppressed because they showed the truth about Jesus and allowed women to take leadership in the church, according to "The Da Vinci Code." Although there were not 80 of them, "The Da Vinci Code" refers to what are called the Gnostic gospels, Bock says. These writings advocated an unbiblical understanding of Jesus' life and ministry that the church rejected as heresy beginning during the time of the apostles. According to Bock, the Gnostic gospels taught that some Christians had secret knowledge not available to all; that there is one spiritual, transcendent God and one physical, wicked Demiurge who created the physical world; and that Jesus did not actually suffer on the cross. The Gnostic gospels also allow women to experience secret revelation and be leaders in the church, Bock says. But the church never even considered including the Gnostic gospels in the Bible, Lutzer said. "To put it mildly, there is no reason to accept the Gnostic gospels as historically worthy; their value lies in telling us what the Gnostics believed, even though the writings shed no now new light on Jesus, Mary Magdalene, or early Christianity," Lutzer writes. The 27 books of the New Testament were affirmed by Christians as Scripture based primarily on their ties to an apostle, as well as their impact on the church and their internal qualities. -- Error: Jesus was married to Mary Magdalene. In his novel, Brown claims that "the marriage of Jesus and Mary Magdalene is part of the historical record." But Bock and Lutzer point out that the Scripture and other historical documents give no reason to believe Jesus was married. Scripture says that Mary was a disciple of Jesus out of whom Jesus cast a demon, that she was present at the cross and that she was a witness to the resurrection, according to Bock. The early church fathers also refer to Mary as "a faithful disciple, a follower of Jesus who witnessed Jesus' death, burial, and resurrection," Bock says, noting that Scripture never indicates that Jesus and Mary were married. Two Gnostic gospels mention Mary's relationship with Jesus, Lutzer writes. "The gospel of Philip," written in the fourth century, says Jesus "loved" Mary "more than his students" and kissed her often. But the poor quality of the manuscript prevents scholars from reading where Jesus supposedly kissed Mary. Lutzer observes that the text might have said "the hand" or "the cheek" and is not an accurate account anyway. The Gnostic "gospel of Mary" says Mary had a special relationship with Jesus and a rivalry with Peter. Lutzer notes, "Even if these accounts from the Gnostic Gospels were accurate, it is a stretch to say that Mary had a romantic relationship with Jesus, much less that she was married to him." Bock notes additional evidences that Jesus was single. If Jesus was married, Paul likely would have referred to Jesus in 1 Corinthians 9 in defense of a minister's right to marry, he writes. Jesus also showed no special concern for Mary while He hung on the cross -- an act that we would expect from a husband. -- Error: There is no agreed-upon and authoritative version of the Bible. Lutzer explains that there were books -- in addition to the Gnostic gospels -- written around the time of the New Testament books that were excluded from the canon, but the teaching of these books was sometimes vastly different from the New Testament Gospels. For example, one book claims that when Jesus was a child, he killed another child by pushing him off a room and when accused, responded by raising the boy from the dead. The Old Testament books were gathered by the nation of Israel as God gave authoritative revelation over the centuries, Lutzer writes. The last book of the Old Testament -- Malachi -- was completed around 400 B.C. Christians' confidence in the authority of the Old Testament books comes from the fact that they were accepted by the Jews and by Jesus. The New Testament books were written in the first century, but "because of limitations of communication and travel, some time passed before the number of books regarded as authoritative was finally settled," Lutzer writes. By the end of the first century more than two thirds of the present New Testament was viewed as inspired, and the remaining books were known and quoted as authoritative. A mutilated fragment from A.D. 175 lists books that were accepted as canonical by that time and contains 23 of the 27 New Testament books. The books that Christians today recognize as the New Testament first appeared together on a printed list in A.D. 367 but were recognized as the authoritative rule of the church for more than 250 years prior to that date. "The Da Vinci Code" also argues that the Council of Nicea decided on the books of the New Testament. Mohler said that is not true. "The early church did not establish the canon ... at Nicea, though general consensus was already evident at that gathering. The New Testament writings were recognized and set apart because of their authorship by one of the apostles and by their clearly orthodox content -- in harmony with the other New Testament writings as recognized by the churches spread throughout the Greco-Roman world."